Your love is leaving for office to fight out yet another hectic day? Can you just do something to lift her/his spirit? Of course you can! Just select Gift for her choice from choice sarees collection , its Comes with a lot of attire of current fashion choice for this valentine season . 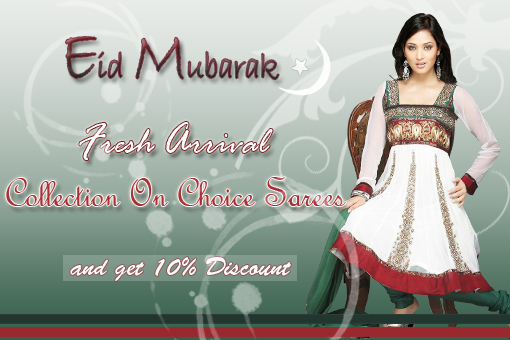 Choice of selection in gift of attire at choice sarees.com collection and gift directly to Doorstep to your love. it’s time to become your love happy with seven romantic day of valentine , i am just suggesting to gift of ur love , attire is the ever best gift for love , choice sarees comes a lot of choices of Sarees , Designer Suits, Readymade suits,Casul Suits, Kurtis, Kurta’s , Weding Lehnga & Festival Lehegna etc. for selecting varieties of Gift in your budget. Celebrate Tread of Love with Choice Sarees Collection!!! In India, Rakhi is a celebration which indicates the love between brother and sister. It is a day when siblings pray for each others well being and wish for each others happiness and goodwill. On this auspicious day, brothers make a promise to their sisters to protect them from all harms and troubles and the sisters tie a band to brother. One of the most auspicious festival of brother and sister is Raksha Baandhan is coming on the next month . So why are you waiting for this celebration. Just plan about Gift for your loving sister. To take the ultimate collection of outfits to your lovable sister from the Choice Sarees. Choice Sarees is offering you a wide variety of new collection of Indian Sarees, trendy kurtis, fashionable Salwar suits, and fabulous Lehengas. And also give you a tremendous discount. In this occasion, you can get a special gift voucher on your buying.